Social justice is a subject that is prevalent in education. As teachers, we have to learn to look at world issues outside our privilege. Our classrooms are diverse places of learning for all, so we have to educate our students of what is happening. Some teachers shy away from social justice issues because they do not want to get involved. I, however, feel that it is my duty to advocate for those that do not have a voice. It has become easier to be an activist because of the internet. 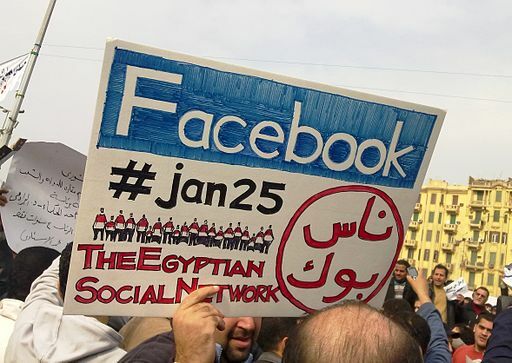 Social media platforms such as Twitter and Facebook have been the sites where activism happens. #idealnomore, #blacklivesmatter, and Taiwan’s student protest shave started as online protests and have caused changes to the world. #idealnomore starts as a hashtag on Twitter as a movement to make Canadian’s aware of what was happening to the lives of First Nations people in Canada. Through social media, people came together to protest and make the Canadian government aware that the living conditions of First Nations people on reserves are not acceptable. Although the hashtag has lost some steam in the last few years. Canadian’s are now aware and living conditions of First Nation people gotten the attention on mainstream media.#Blacklivesmatter was started by an activist in Oakland California and has become a grassroots movement that stops racism again black people in the United States. Lastly, Taiwan’s student protest started with students taking over the parliament building in Tapei. During their 23 day, occupation of the students released an app called FireChat. FireChat is a mesh network that allows phones to connect to one another without the internet or cell phone connections; it quickly became #1 on app chart in twain that year. School age student have also started to become activist online as well. The Buddy Project and #1000blackgilrbook were started by students. The buddy project was created by an 11th-grade student in Pennsylvania, to prevent suicide, self-harm, and eating disorders. The #1000blackgirlbook was created by a student that was tired of seeing stories only about white children in her classroom. She tweets about different books that have black characters are the main character. So how can you become involved with social justice online? For me, it is becoming aware of different social movements online. That does not mean that you have to go and follow every movement but to see be aware and have these discussions with your students is important. Online activism is the new way to have a voice, so why not speak out.